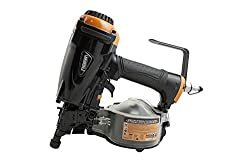 Freeman PCN50 15 Degree Coil Siding Nailer, 2"
250mm/10inch Laminate,Engineered Wood,Fiber Cement siding,LVP,SPC,Vinyl Flooring Cutter MC-250!Better Than 9-inch(230mm) Cutters !Best Buy! 8454 products found in Siding. Your request for Siding revealed a total of 68454 results. Product Features: No-mar tip helps prevent damage to work surface/Includes 2nd no-mar tip, Tool less depth adjustment for handling a variety of materials, Side loading canister and quick driving for efficiency, Contact fire for safe and precise fastening, Shoots 15-degree nails ranging from 1 in. to 2 in, Perfect for 250-mm Laminate, engineered wood, solid wood, Bamboo flooring, Parquet, Hard planks, Fiber cement siding, Deck-Floor-Boards,Cove Base, SPC, WPC, LVP and MDF trims. 16mm cutting depth. 0-45° Cutting Angle.